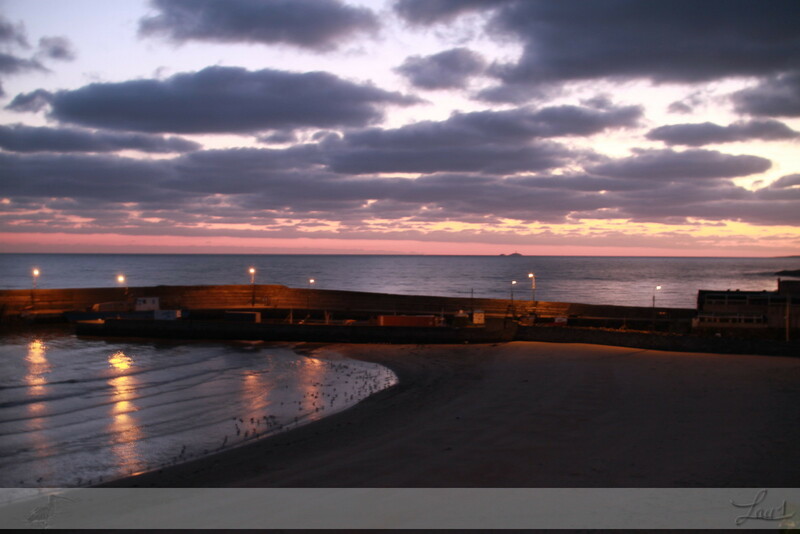 A very nice evening to get the old muscles working again (not for long). 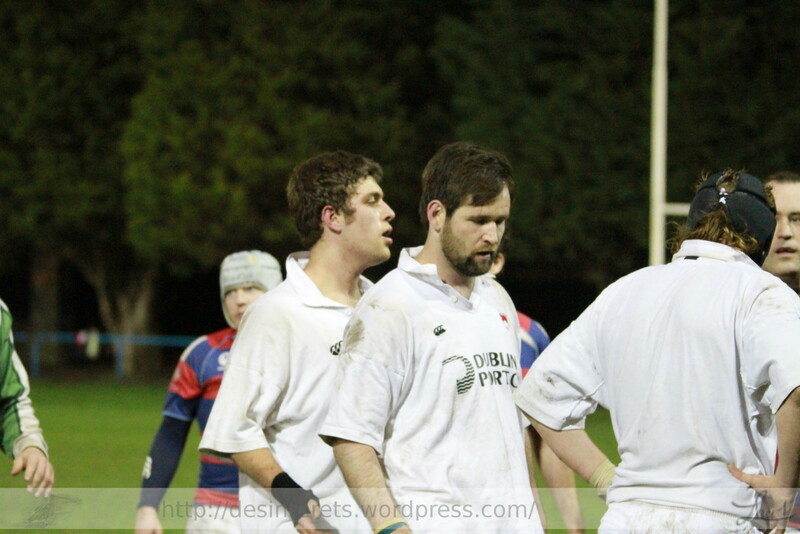 J4/J5 and Golden oldies get a run out. 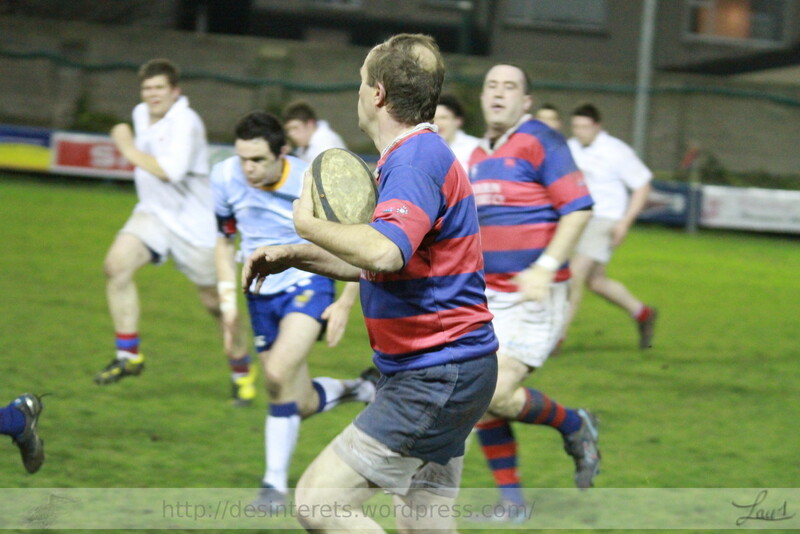 The wind played havok with the ball and no team could play it well. 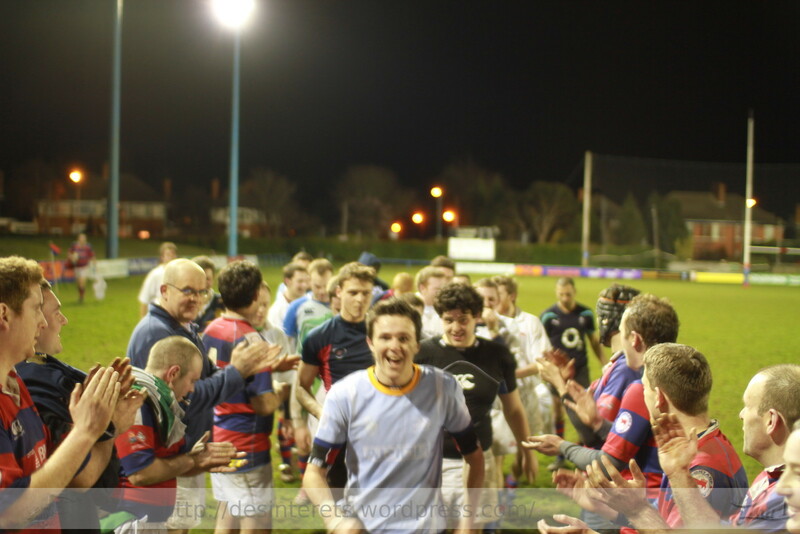 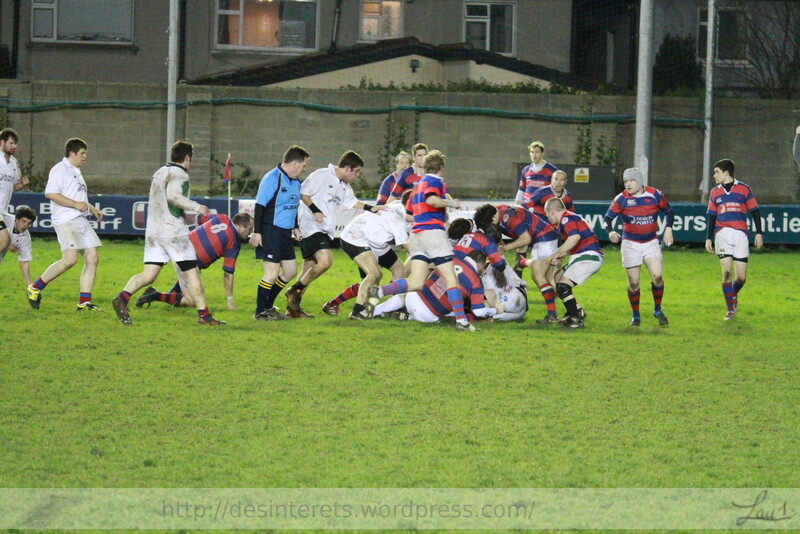 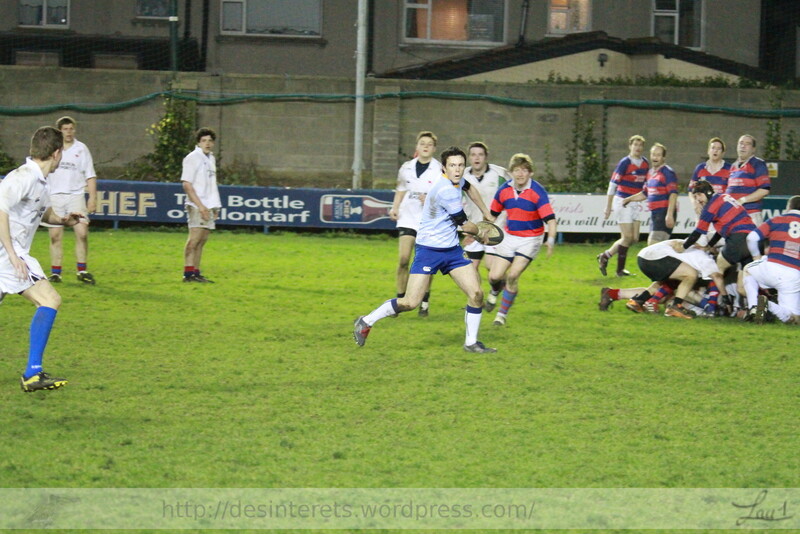 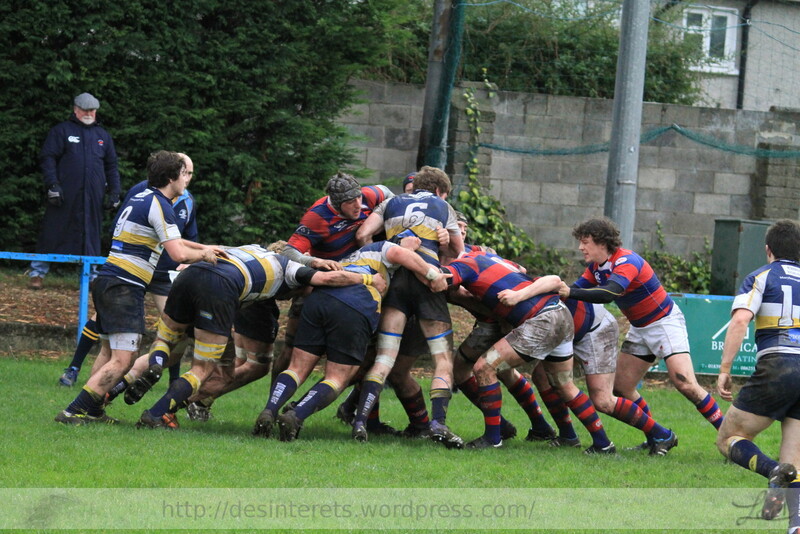 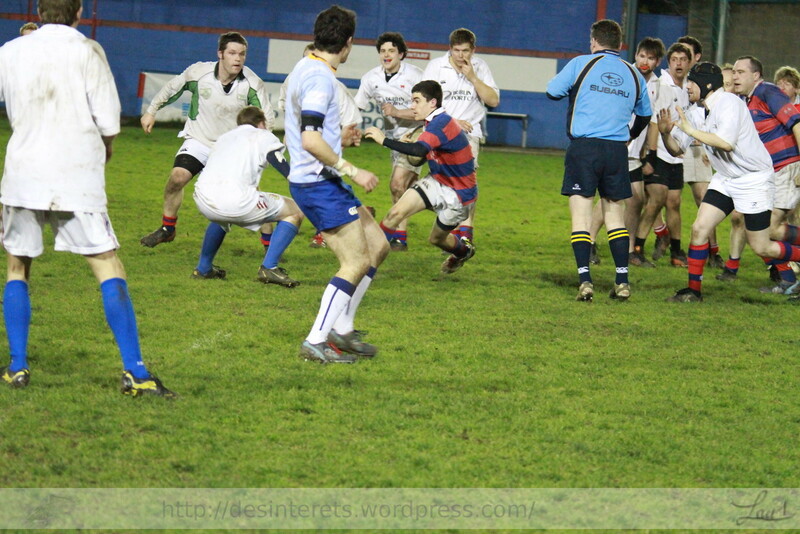 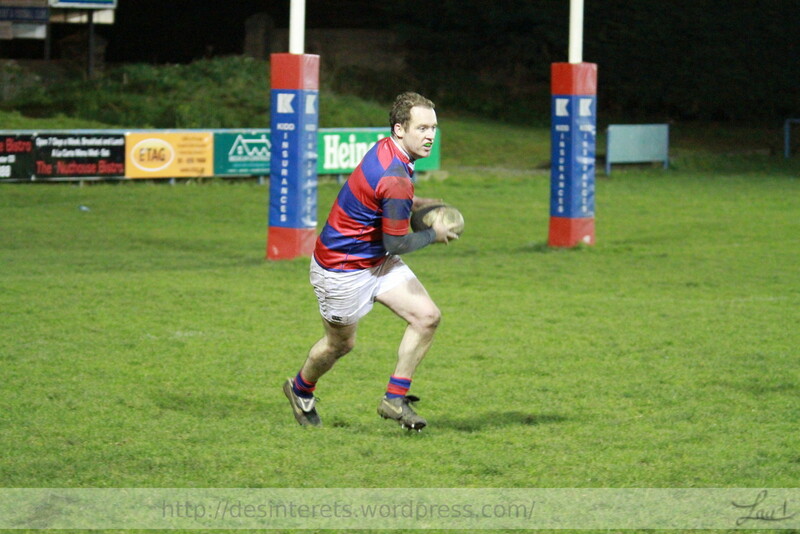 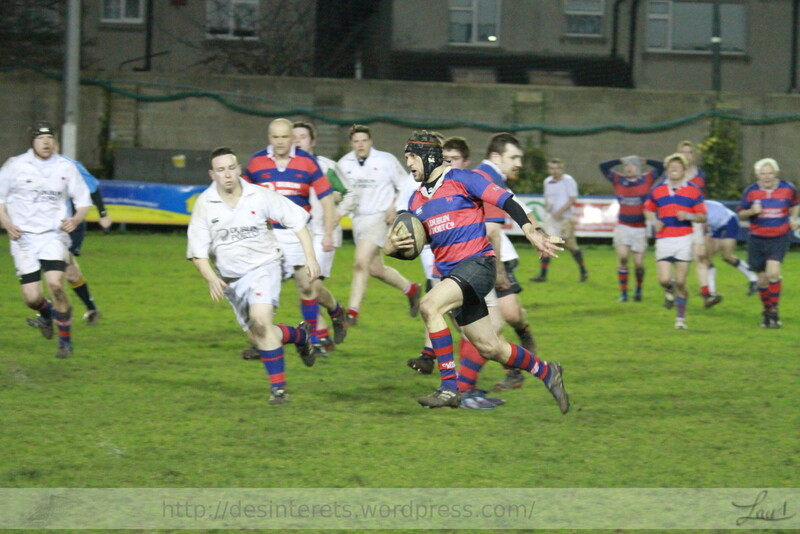 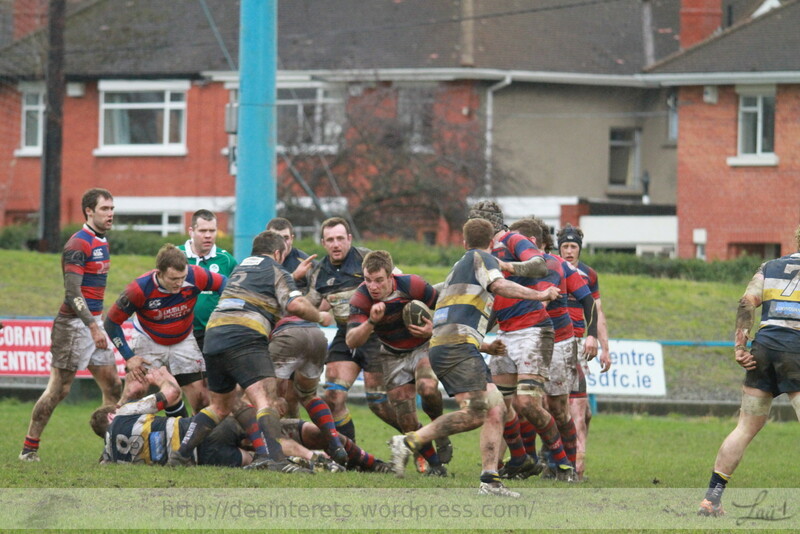 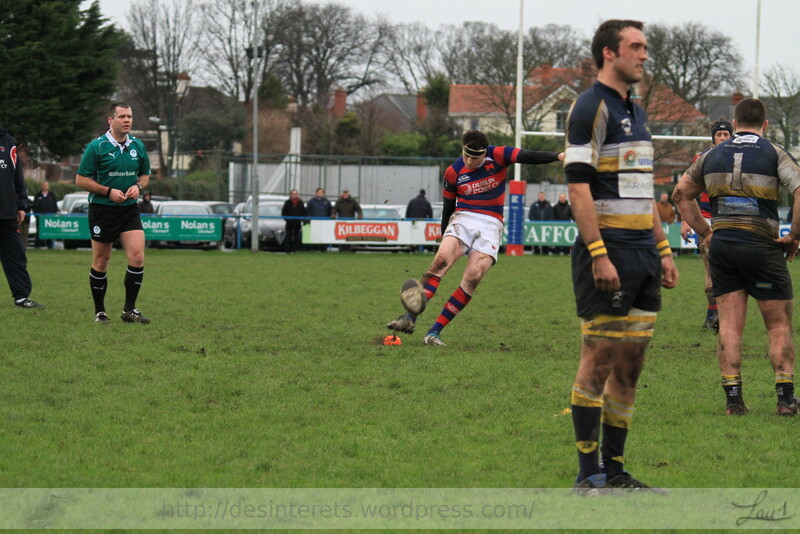 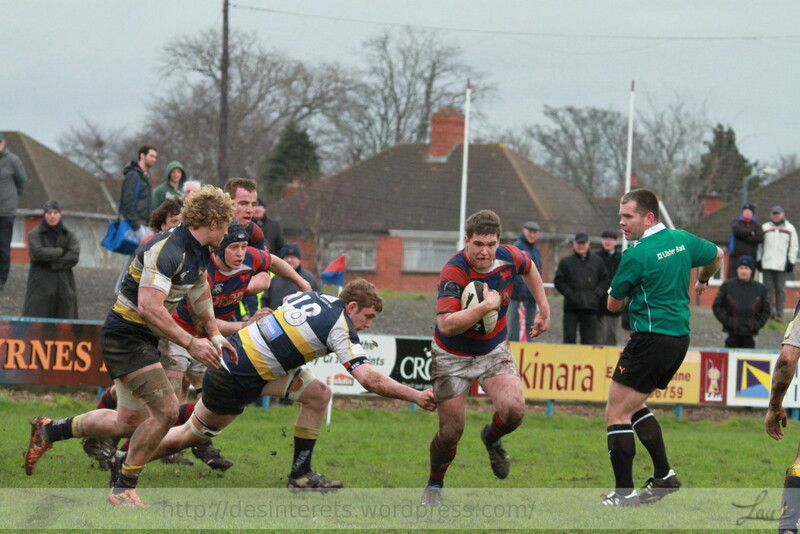 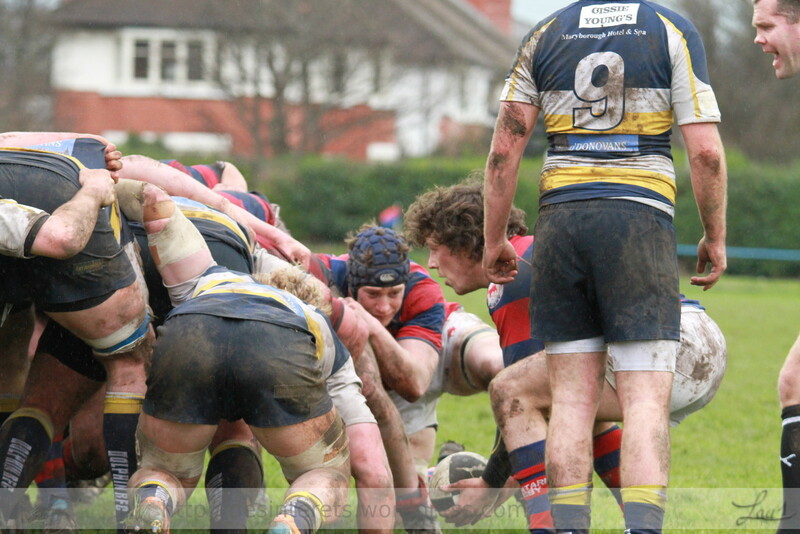 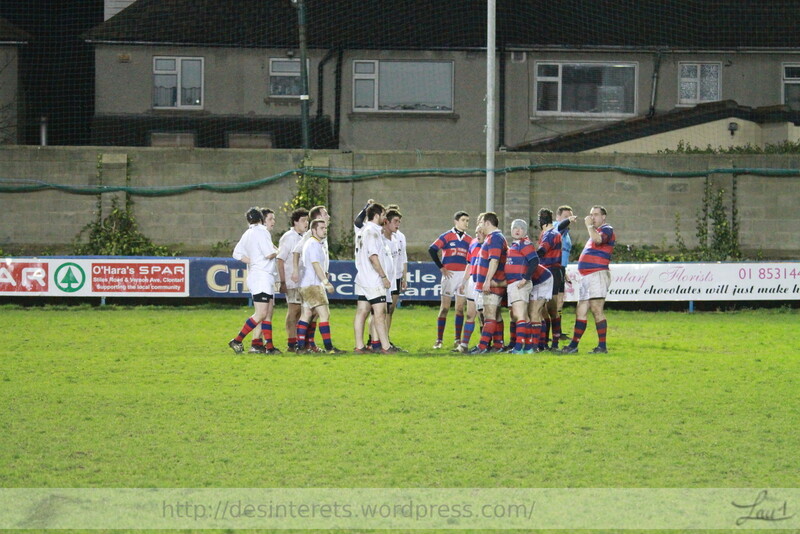 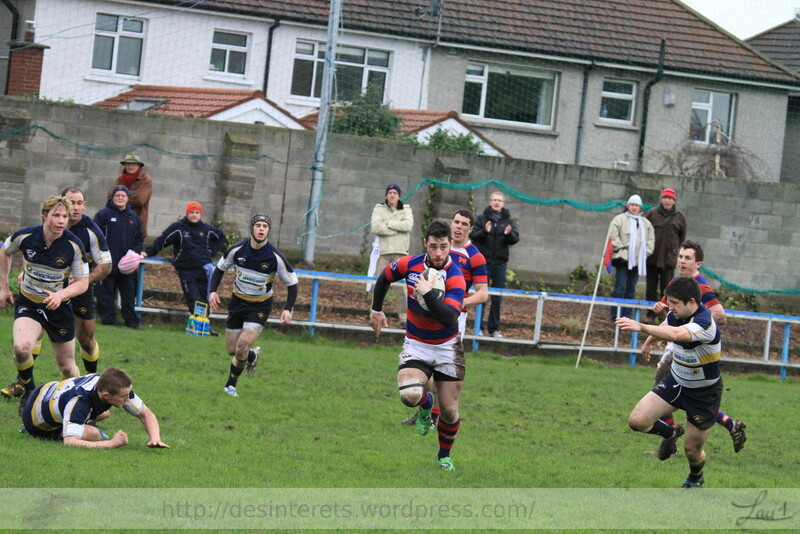 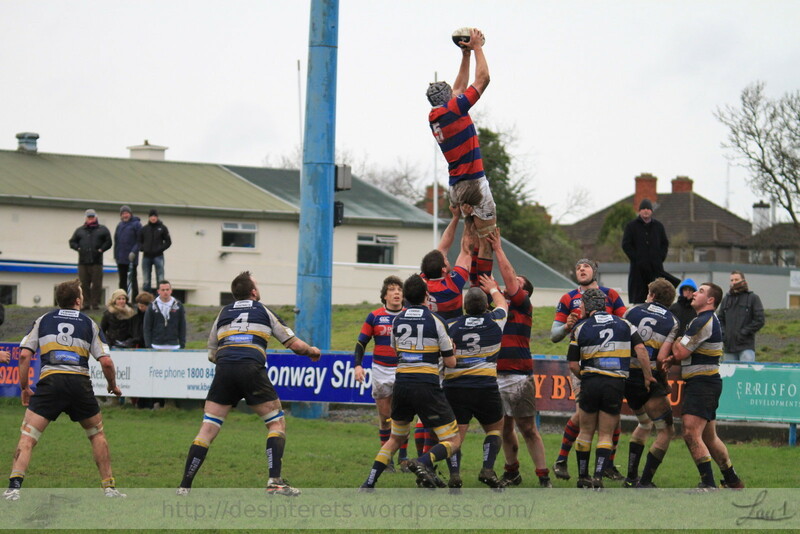 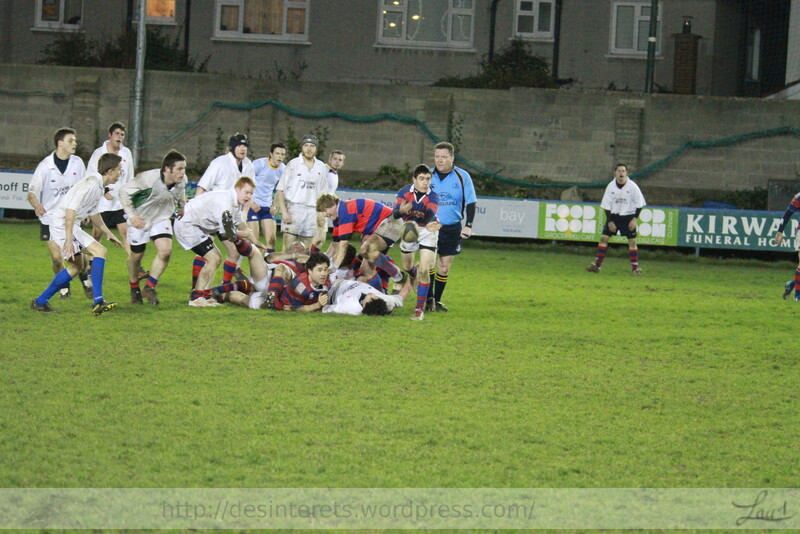 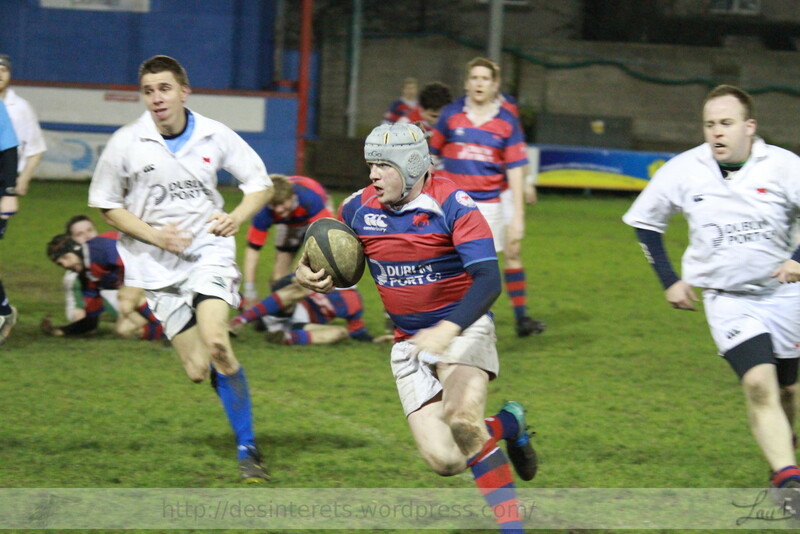 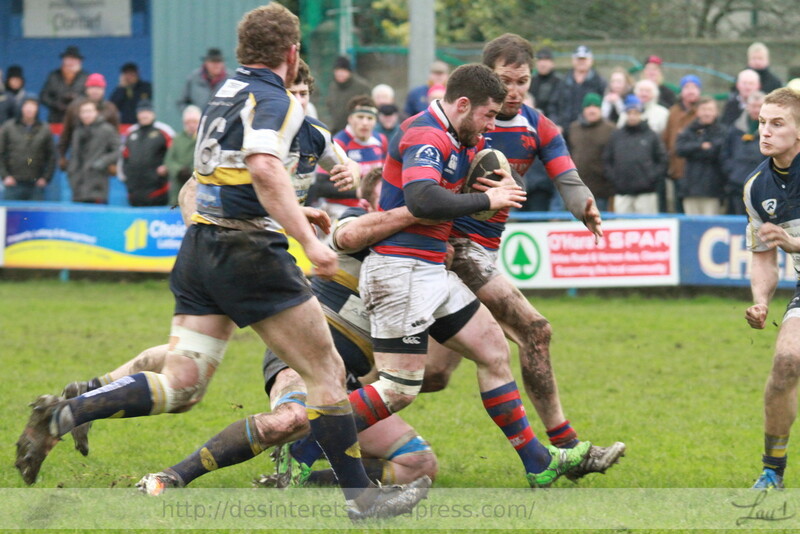 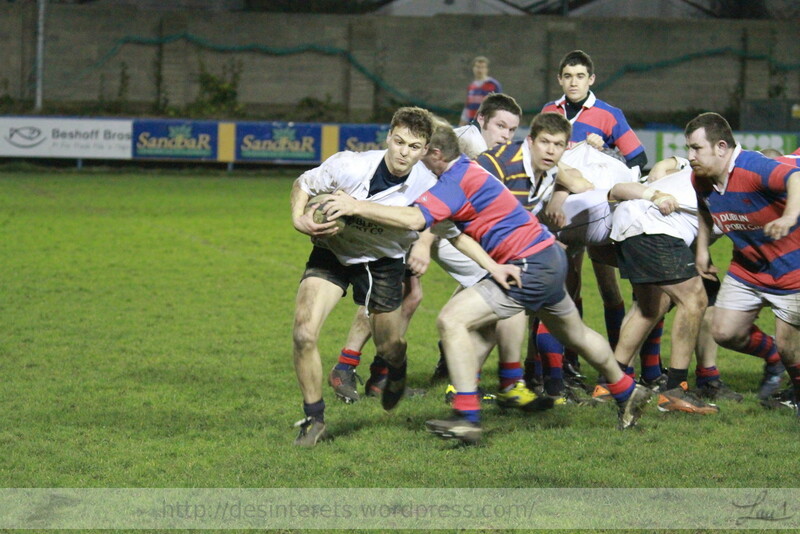 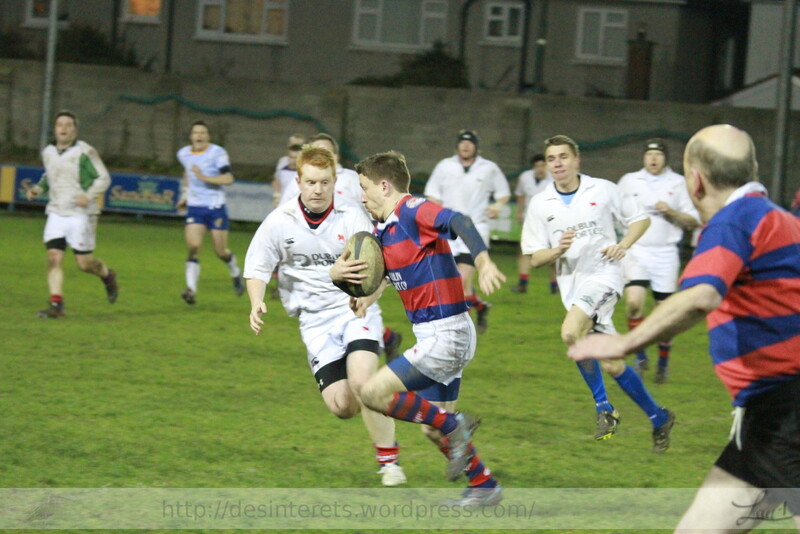 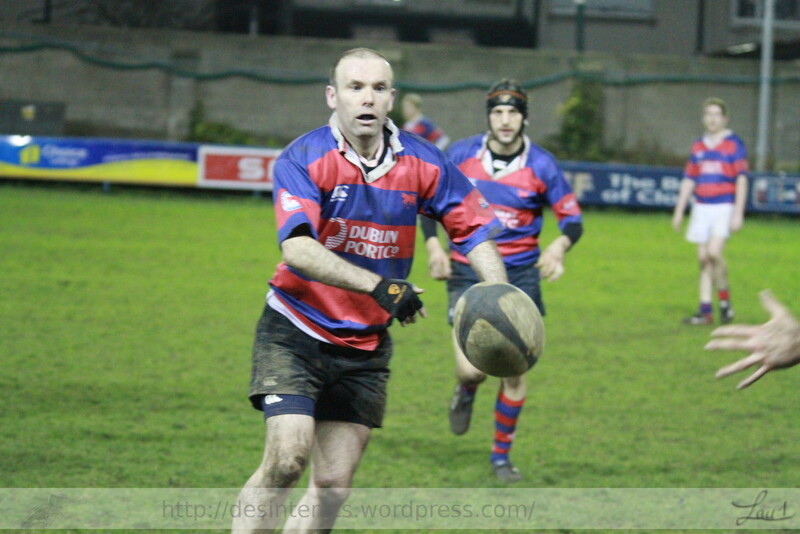 Clontarf broke the line more often but were unable to make it pay as Con’ scrambling was very good. 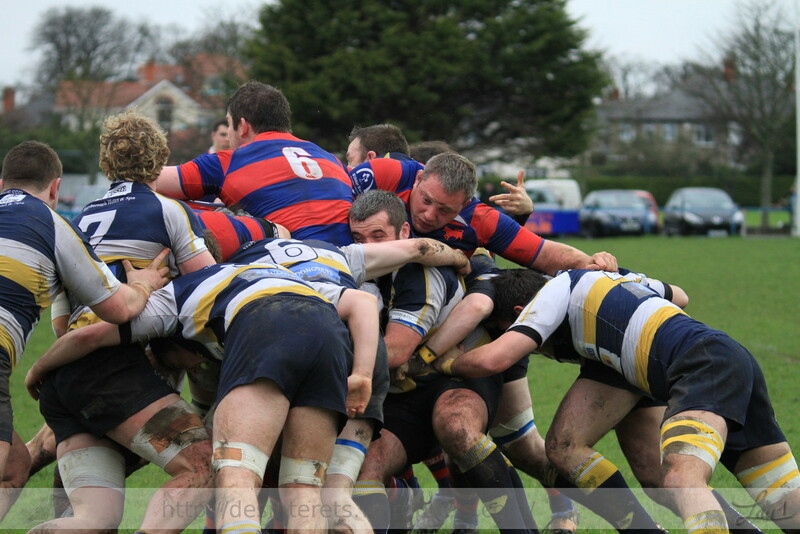 Clontarf hosted Dolphin for an encounter that promised to be tough. 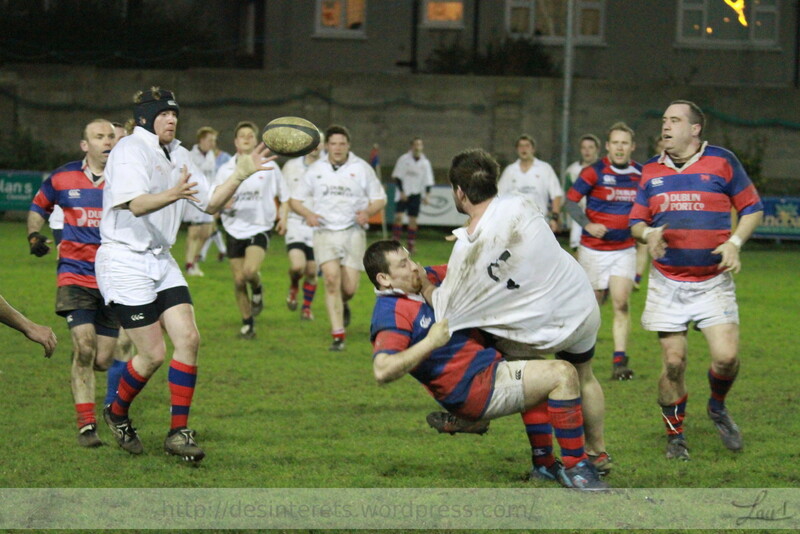 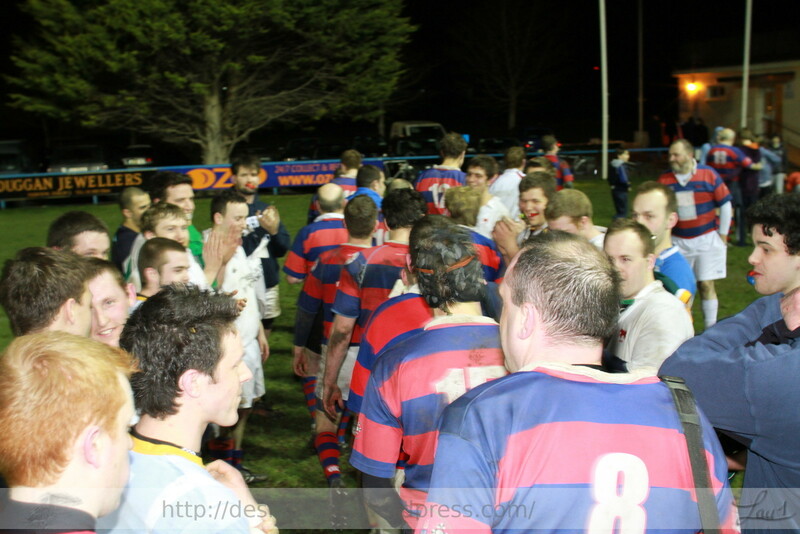 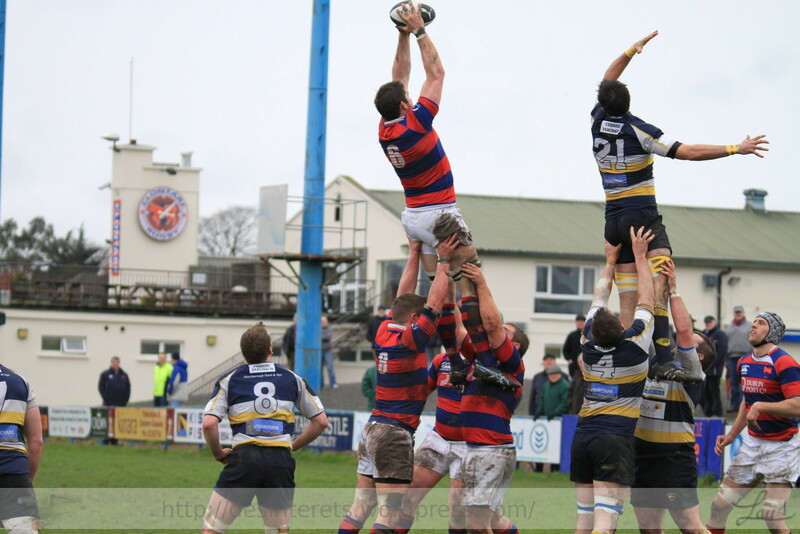 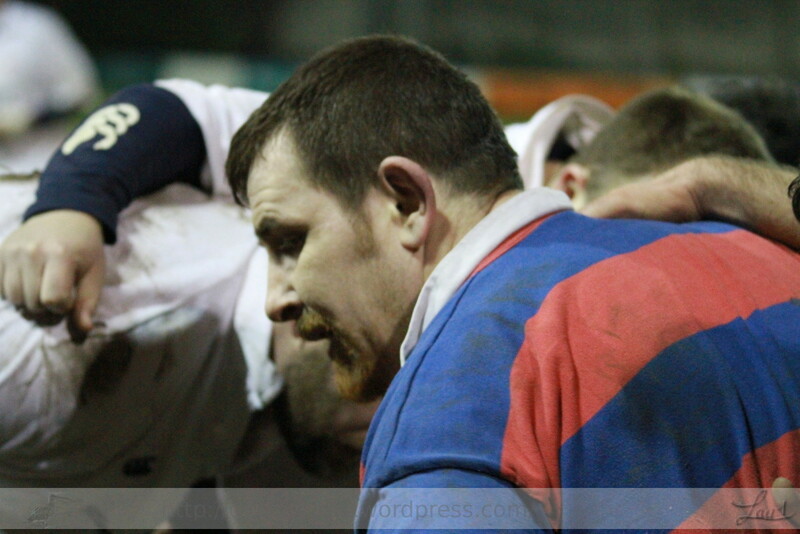 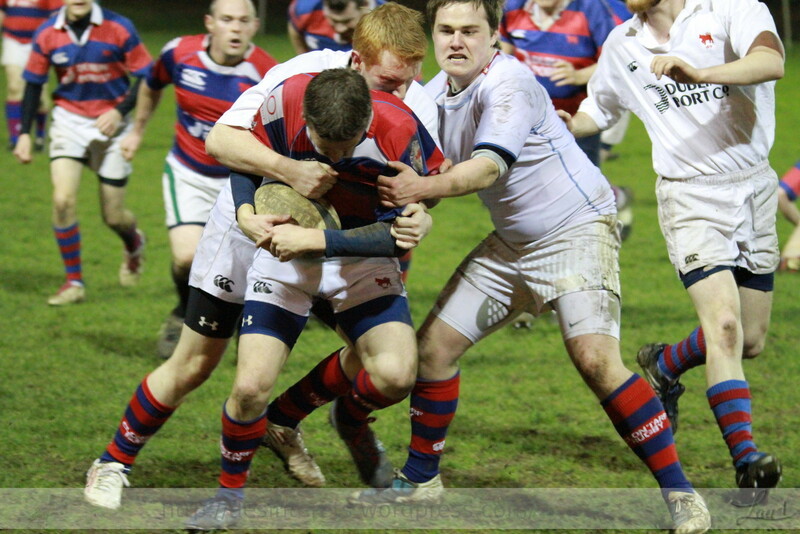 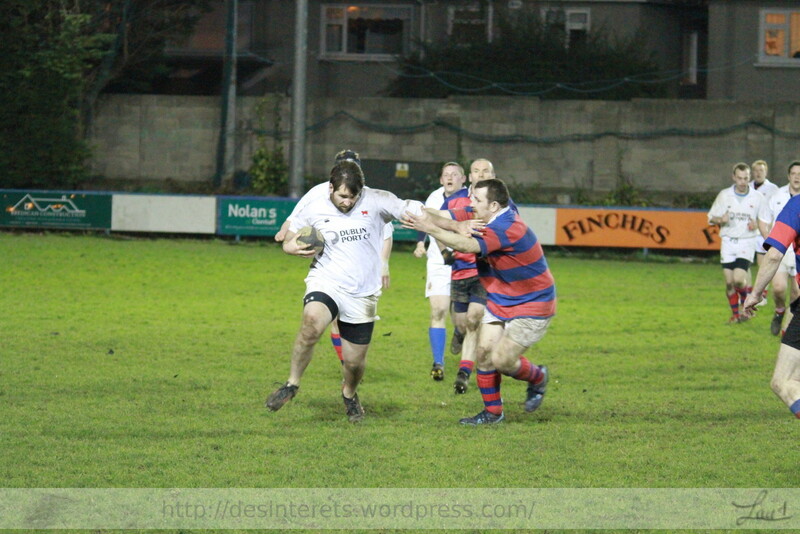 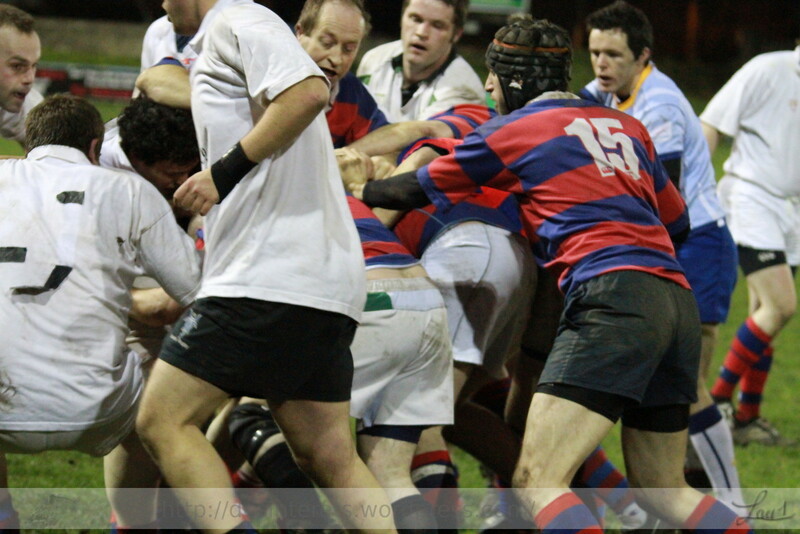 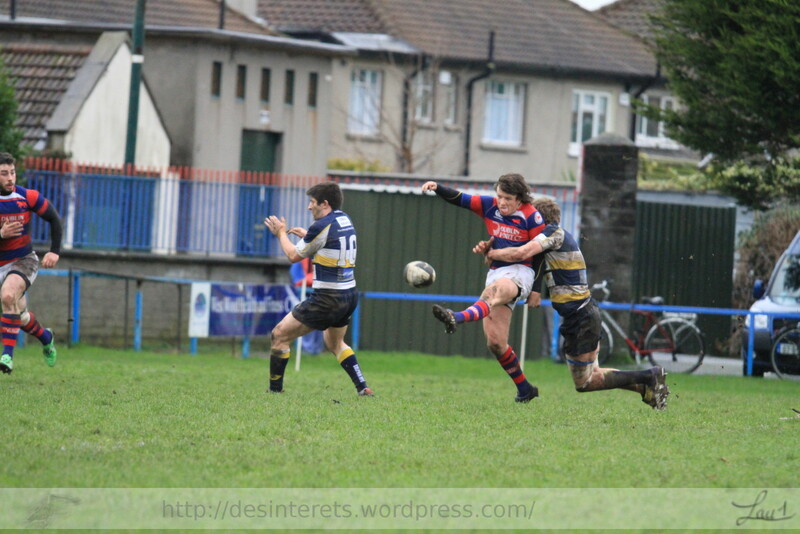 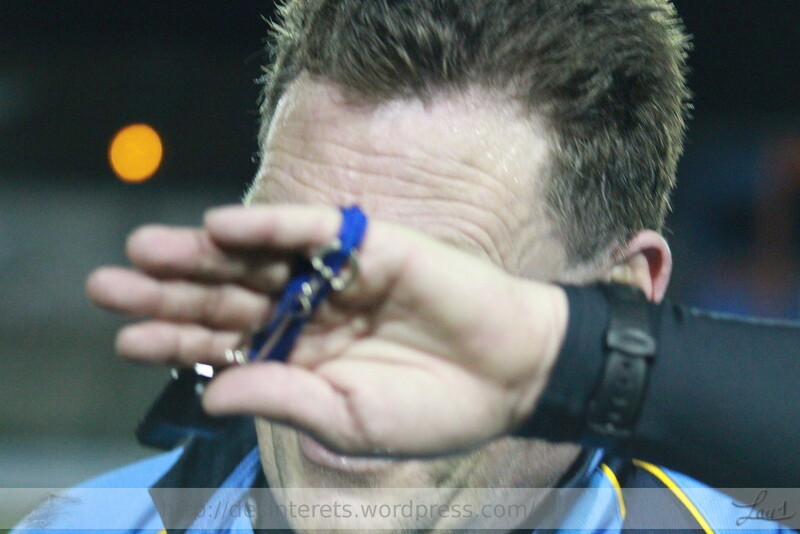 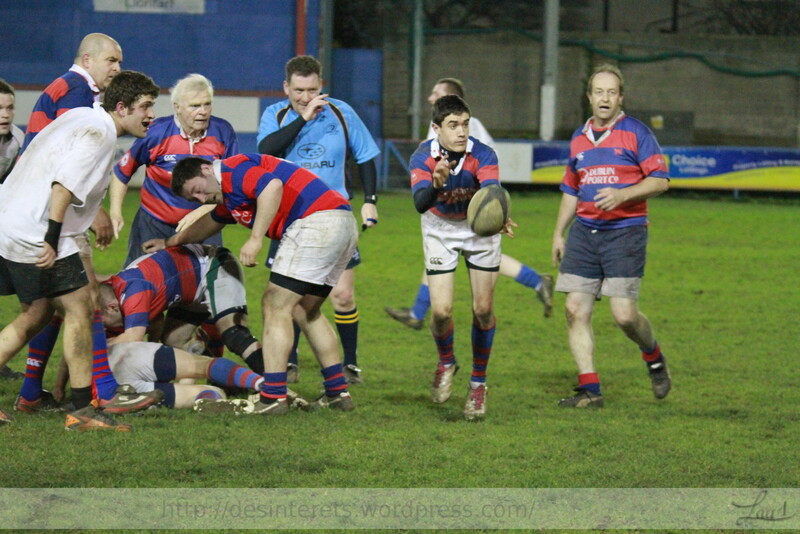 Mauling from lineout proved to be the weapon that dolphin did not have an answer for. 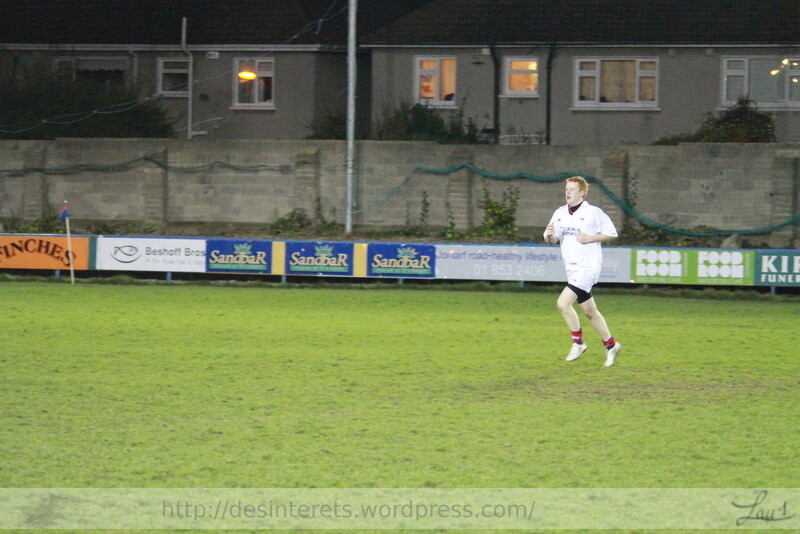 This suited the conditions well. 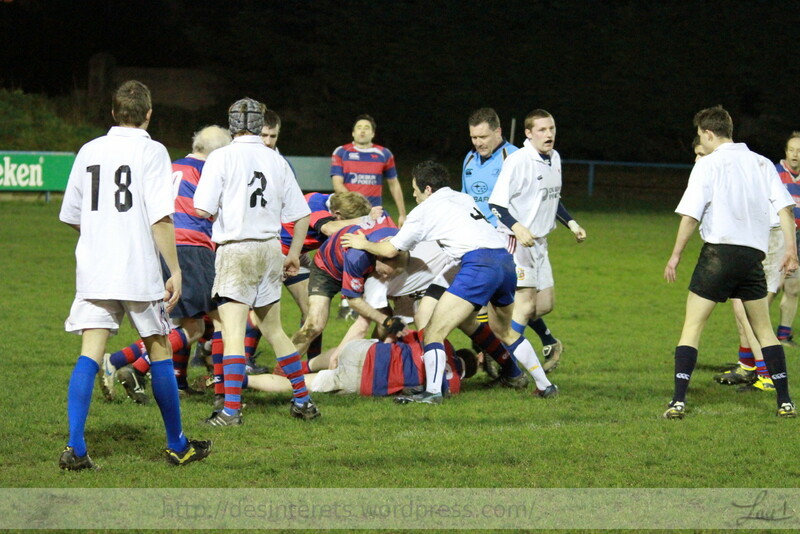 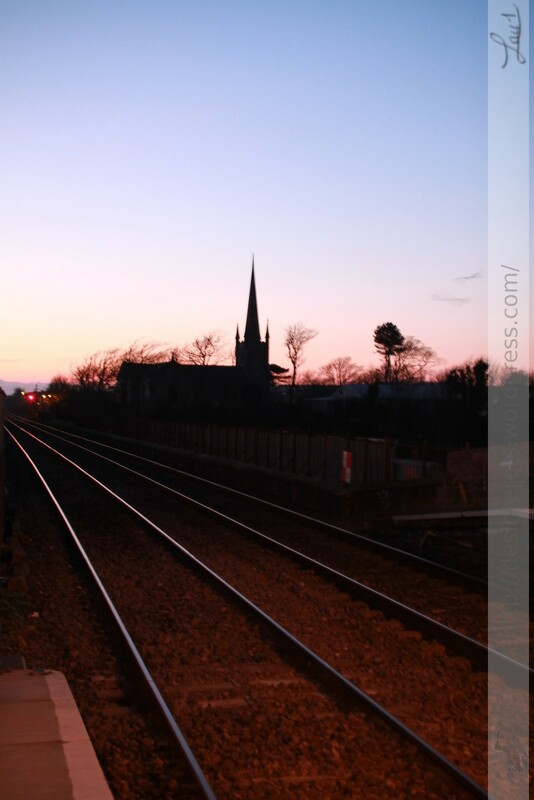 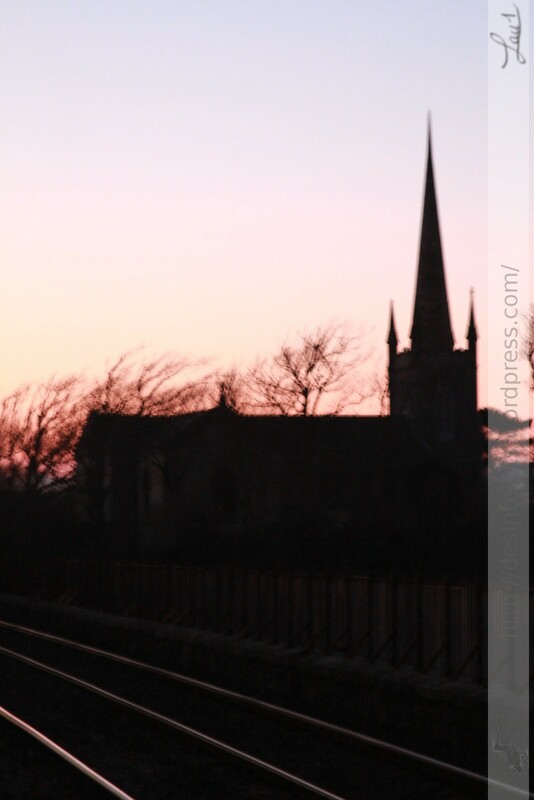 All the other photos are available on Flickr.